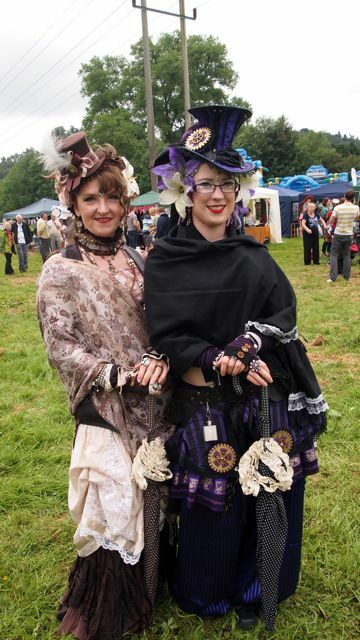 On Sunday we headed to Kinver Country Fayre to check out the parade, entertainment and stalls for the 2014 event. 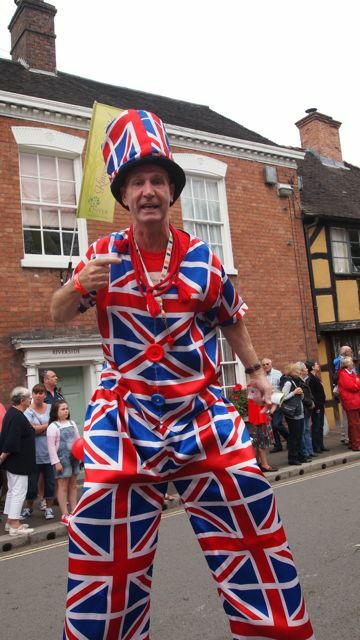 Taking place along the main High Street and fields on Father’s Day the event has attracted over 10,000 visitors each year. This weekend the rain held off leaving a warm and sticky day – which might have been why the beer tent had been drank dry of Kinver and Enville Ales by a very early 3pm. 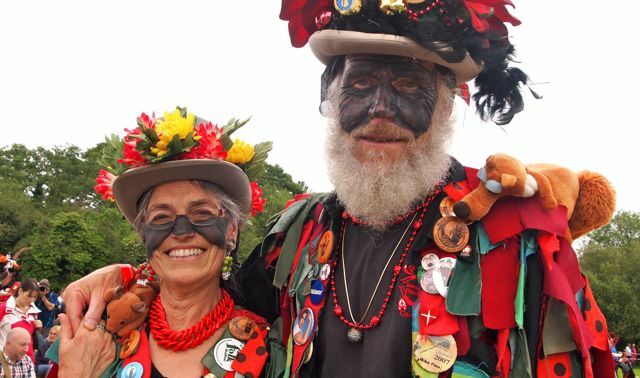 Luckily the ‘diverse’ entertainment kept everyone’s spirits up whether shouting for their favourite axe wielding Viking (of Middle England) to finish off his opponent or watching the spirited Fox Border Morris dancers perform their traditional dance with a live band. 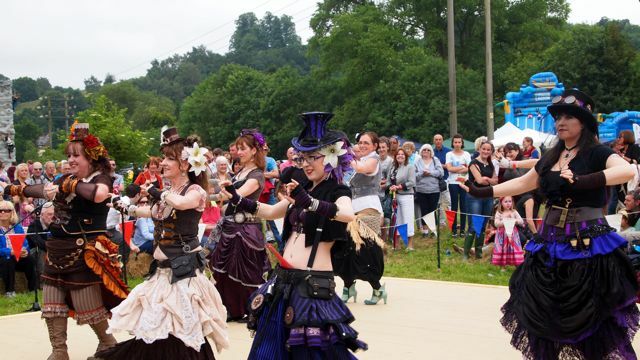 Alongside dog shows, falconry displays and fancy dress competitions the mysteriously named Belly Fusion dance collective drew a big crowd thanks to their [almost steam-punk like] amazing Victoriana outfits and ‘tribal’ style belly dancing which kept onlookers captivated. 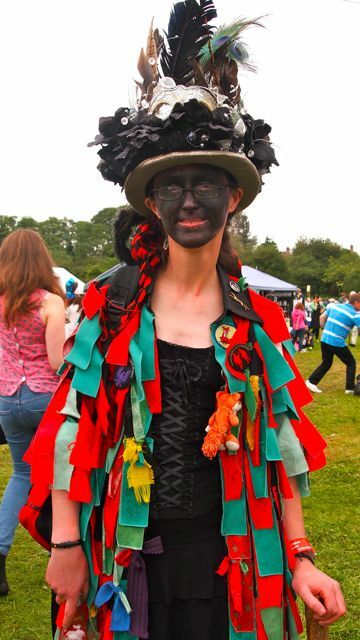 This entry was posted in Festivals, Music, Performance and tagged Belly Fusion, Enville Ale, Fox Border Morris, Kinver Ale, Kinver Country Fayre, Vikings of Middle England. Bookmark the permalink.